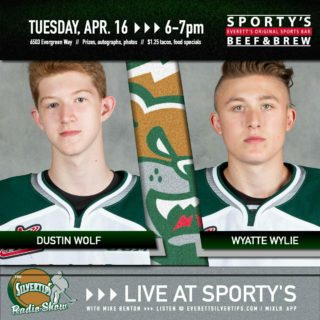 The Silvertips continue a nine-game road trip in their only visit to Medicine Hat … the Silvertips are 2-4-0-0 on the trip … against Medicine Hat, it is their first visit since the 2015-16 season (Nov. 20, 2015, 2-1 loss) … the Tips are 8-6-0-0 lifetime against Medicine Hat and 4-3-0-0 when they visit the Tigers … a total of 9 players from Alberta are currently on the Tips roster. LAST GAME (RD 4 – EVT 1 / 10-10-16): Ethan Anders made 28 saves while Lane Zablocki scored and added an assist to help lead the Red Deer Rebels past the Everett Silvertips, 4-1 before 3,977 at Enmax Centrium on Tuesday in WHL action. Orrin Centazzo scored the only Silvertips goal in the second period, set up by a face-off win by Ethan Browne. Red Deer outshot the Silvertips, 35-29 and Dorrin Luding turned in a 31 save effort. 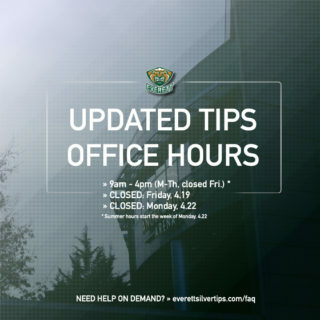 Only meeting of the season and 15h overall … the Tips are 8-6-0-0 lifetime against Medicine Hat and are 4-3-0-0 all-time in matchups in Alberta … the Silvertips are 3-2-0-0 in the last five meetings with the Tigers … they last won in Medicine Hat on Nov. 22, 2013 (4-3 win) … their last visit was at Canalta Centre, Nov. 20 in a 2-1 defeat. 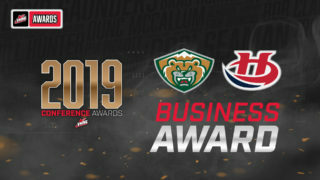 STEADY AS SHE GOES: The Silvertips are the only team in the last 14 WHL seasons to reach the playoffs every season … they have captured five U.S. Division titles, most recently last season when they went 44-16-9-3. 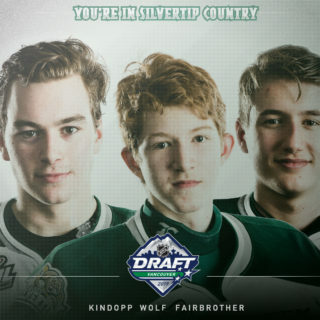 ALBERTA BORN: Nine players are on the Silvertips roster who are originally from Alberta … center Matt Fonteyne (Wetaskiwin, AB native) is making his final regular season visit to Red Deer for his WHL career and last night played in his 276th lifetime WHL and Silvertip game, moving into 8th in franchise history. KILL SHOT: The Silvertips lead the WHL in penalty killing percentage (90.9 pct) … they are 30 of 33 overall and on the road are 22 of 24. 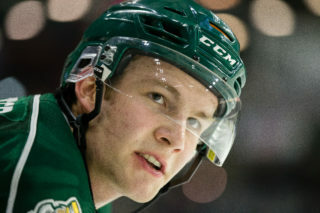 RILEY ON THE RADAR: Riley Sutter, third year Silvertips forward, was named to the NHL Central Scouting Service’s “Players to Watch” Preliminary list on Oct. 3 (“B” rating) … he has four goals and five points in eight games. DEWAR OF GOOD DEEDS: Connor Dewar notched the 48th hat trick in Tips history on Oct. 3 in Spokane and the first of his career (the last 2 Tips hat tricks have been scored in natural fashion – Patrick Bajkov earned his first, 12/2/16 vs. Medicine Hat) … Dewar has points in five of the last seven games. ON THIS DATE (10/11/09): The “Kid Line,” constructed of Kellan Tochkin (1g-2a), Tyler Maxwell (2g-2a), and Byron Froese (1g-1a) combined for 9 points in a 10-4 victory over the Portland Winterhawks at XFINITY Arena … the Tips rallied from a 3-0 deficit after 12:50 by scoring 9 unanswered goals … future NHL defensemen Ryan Murray (two assists), Radko Gudas (goal), and Rasmus Rissanen (two goals) contributed offensively.